The SX SC style guitar kit has everything to start you playing. The guitar features a maple neck, rosewood effect fingerboard and quality pickup. 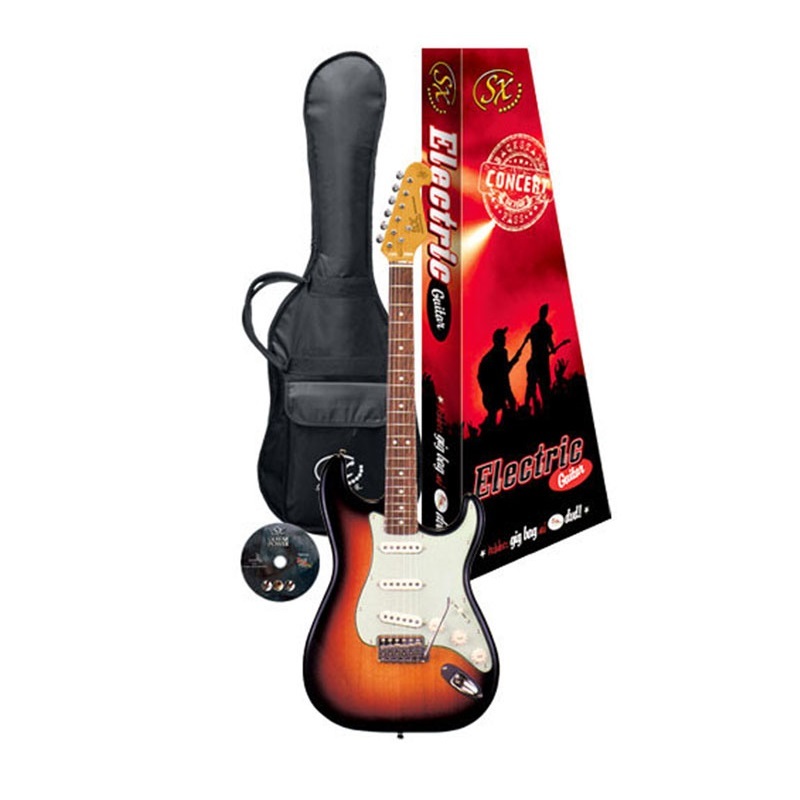 Included with the kit is a compact 10W guitar amp and cable as well as a gig bag, guitar strap, clip-on tuner and picks.